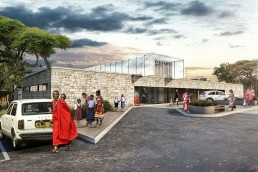 Following extensive research on the effect physical spaces have on learning, Crawford Private School situated in Tatu City, is designed as an education village to serve the unique educational needs in Africa. 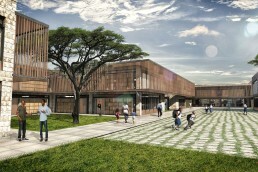 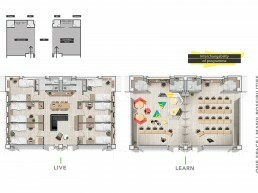 Functional, interchangeable and spatially flexible the architecture promotes learning and studying. 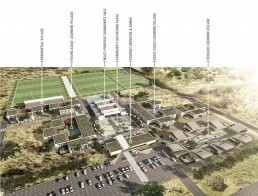 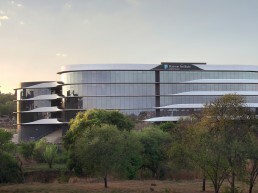 Surrounded by grassy golden savannahs, the education village borders a sizeable rural settlement and is set to impact exponentially on the surrounding community, driving social cohesion, educational advancement, job creation and economic upliftment. 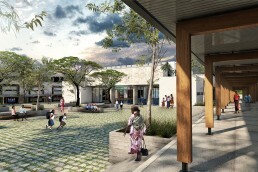 More than a collection of schools, the village takes into consideration the rich heritage and local customs by incorporating a central plaza at the centre of the village where the community can gather, as well as a community hall, library and sports centre. 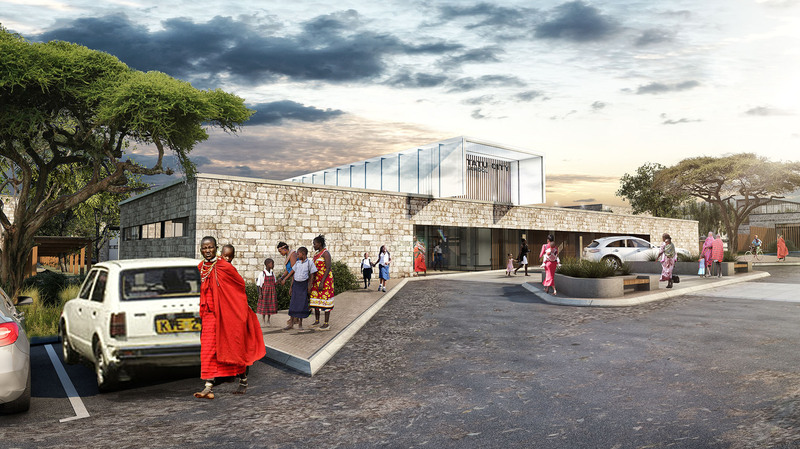 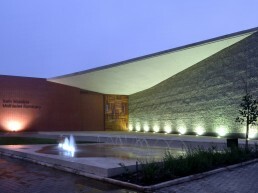 The design incorporates local materials emulating the natural Kenyan landscape of earth, forest and sky. 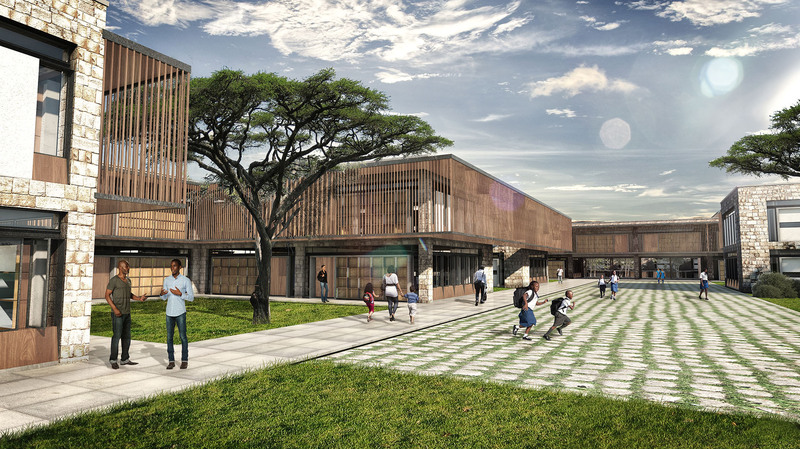 Moving away from the traditional narrow central corridor that serves the sole purpose of swift and efficient flow of students, the architectural design focuses on opening up spaces. 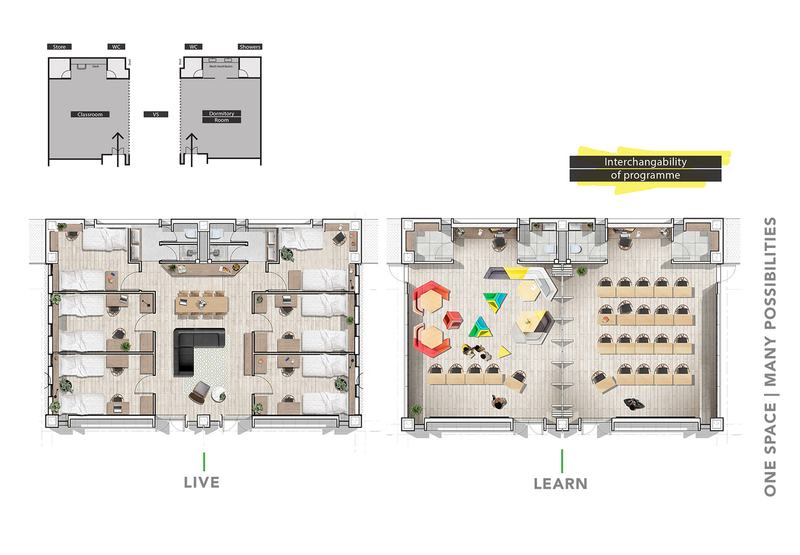 This encourages social engagement, along with chance encounters, exchange of ideas and ultimately promotes a positive learning environment for behavioural growth and development. 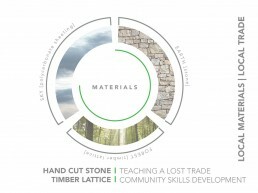 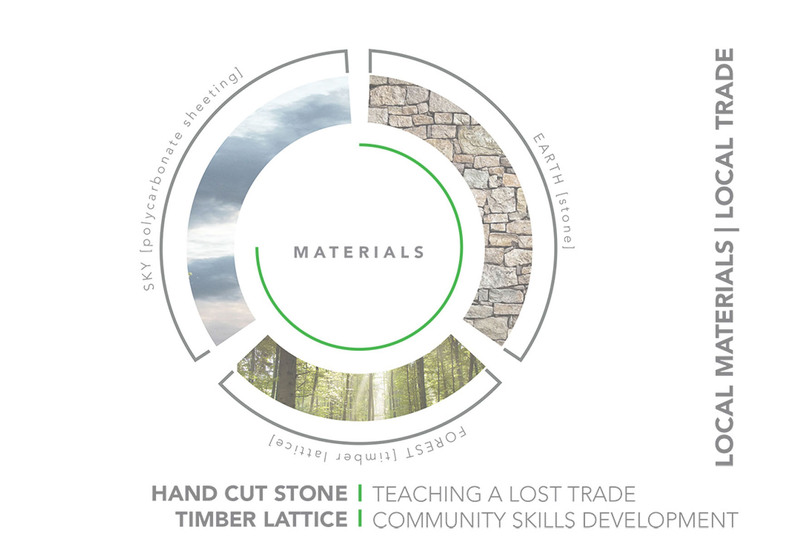 A unique hand cut blue stone is used as masonry blocks, bringing back a traditional craft and local trade that is fast disappearing. 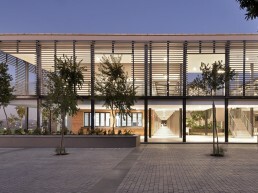 Visually appealing, timber lattice references the wooded forests and is used as a functional element for solar shading, safety rails and balustrading. 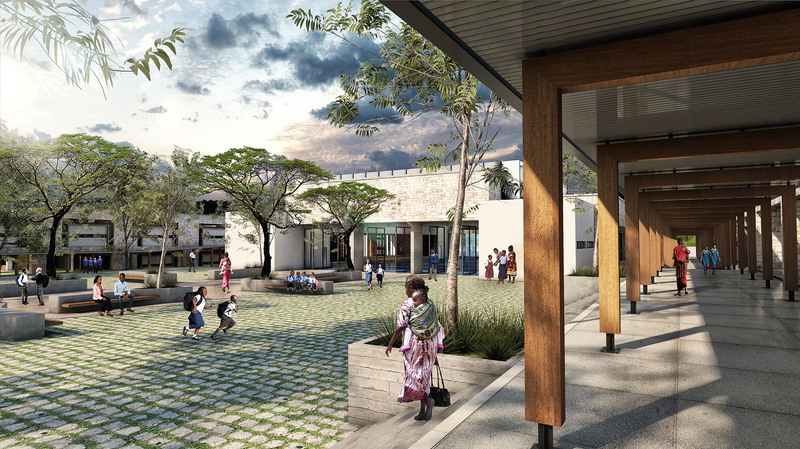 Ultimately, the village fosters a positive, engaging approach to learning where both knowledge and socialising are cultivated with the aim of opening minds and embedding the belief that education is the most powerful weapon to harness opportunities and change circumstances.